Your customers have to deal with a variety of maintenance situations, and Performance Plus pads will prepare them for almost any project. A new line in the Performance Plus Family, Performance Plus Pads are formulated with the perfect amount of non-woven polyester and abrasive grains to achieve maximum product performance. The bonding process of these fibers blended together with special resins and adhesives make these pads tough, durable and consistent. Check out the full list of Performance Plus Pads, so you can equip your customers with the right tools for the job! Ultra-High Speed and Burnishing Pads are built to withstand speeds up 3000 RPM. These pads are designed to provide a high gloss shine while standing up to excessive heat. Natural Hair UHS & Burnishing Pads provide the ultimate “wet look” shine. Nominal thickness 1″. Performance Plus Beige Floor Pads are designed to stand up to the high heat and strength required with propane burnishing, these UHS Pads yield very high-gloss finishes. 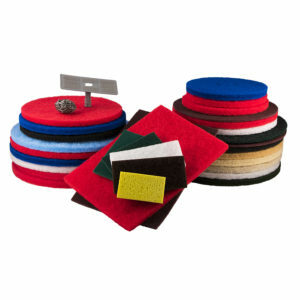 Best used on machines up to 3000 RPM, these pads are best used on soft to medium surfaces. 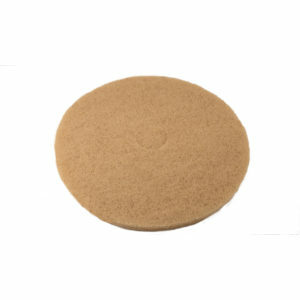 Light Hair Burnishing Floor Pads are a controlled blend of polyester and natural hair fibers. 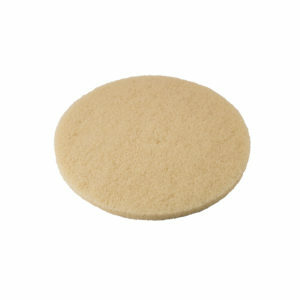 This versatile UHS Pad takes advantage of the lubricating effects of natural hair. Yielding a “wet look” finish while providing strength and durability, these pads are best used with machines up to 3000 RPM. 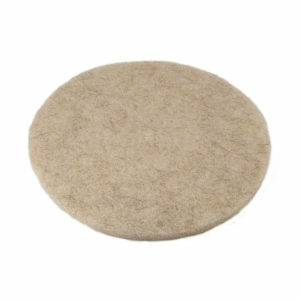 Performance Plus Medium Hair Burnishing Floor Pads are a heavy blend of natural hair and polyester fibers. 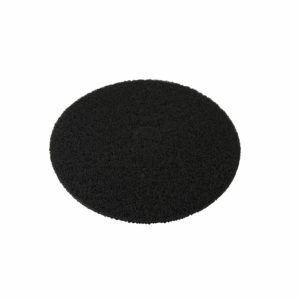 These aggressive Burnishing Pads are best suited for medium to hard finishes and are best used on machines from 1500 to 3000 RPM. 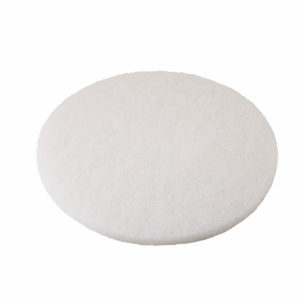 Conventional Floor Pads are ideal for general buffing, cleaning and polishing. Depending on the application, these polyester pads use varying amounts of abrasive grains to achieve maximum product performance. These pads operate best at speeds up to 800 RPM. Nominal thickness 1″. 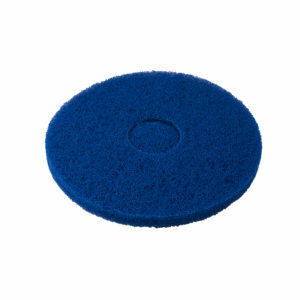 Extra-fine polishing pad is formulated for use on clean, dry floors. A fine water mist can be used to produce a high-gloss wet look. 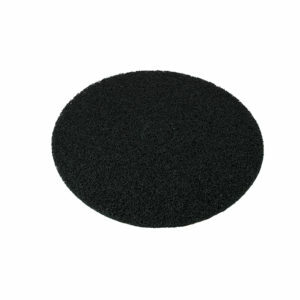 Best used on 350-800 RPM machines, these thick pads are also ideal for polishing soft waves on wood floors. 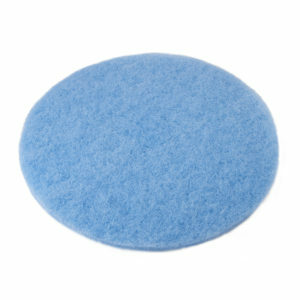 This general purpose conditioning pad is designed for dry stripping, cleaning and general surface conditioning. Best suited for between coats finishing of wood floor surfaces. Thin Line pads are 3/8” thick. Use with 175-300 RPM machines. The perfect pad for light cleaning and dry buffing, removes scuff and black heel marks while producing a high gloss shine. Use with 350-800 RPM machines. These pads restore glossy finishes while removing the scuff-marks and dirt associated with medium traffic areas. 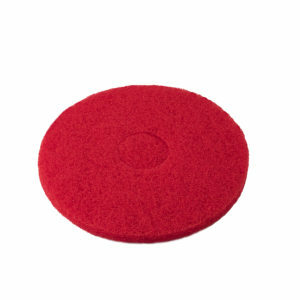 Ideal for automatic scrubbing or use with 350-800 RPM machines, these pads can be used for both dry or spray buffing to produce a sparkling shine. 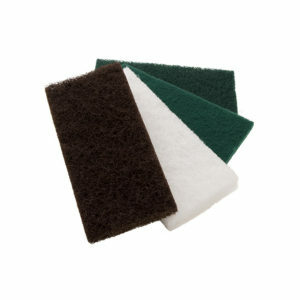 Long-lasting Stripping Pads offer the highest abrasive content and the best tear resistance of any pad in the line. Depending on the “grit” of a Stripping Pad, special resins and adhesives may be used in production to ensure consistently tough, durable pads. Ideal for removing wax build-up and dirt, their “open-weave” construction allows cleaning solutions to flow freely through the depth of the pads without loading. 7/8″ or 5/8″ thickness, dependent on product. Designed for heavy-duty wet stripping, these pads have a very aggressive texture and are optimal for removing wax, dirt and any finish. Tough, durable and built to perform, these pads are best used with 175-300 RPM machines. 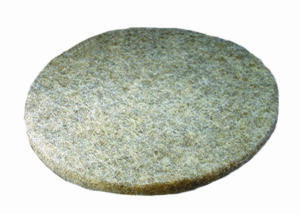 The most abrasive stripping pad, tear resistant and long wearing. Highly aggressive, a wide open mesh construction allows solutions to flow through these 5/8” pads without loading or build – up. These pads are best used with 175-300 RPM machines. Designed for wet scrubbing and medium-duty spray cleaning, these pads will remove heavy dirt and scuff marks from most floor surfaces. 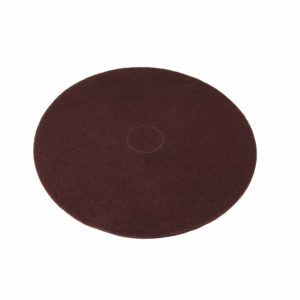 Capable of removing the top layer of a floor’s finish, these pads are best used with 175-350 RPM machines. Rectangular Floor Pads are designed for use with all Clarke® Boost™ Orbital Floor Machines. These pads are built to perform at a high level when used with the orbital action of these machines. 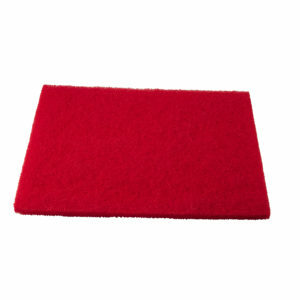 Rectangular products are available in the most popular size; 14″ x 20″. Stainless Steel with wide-band construction. 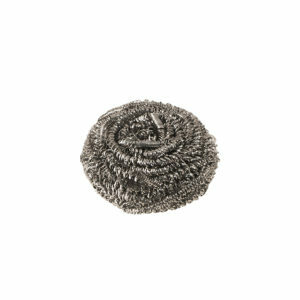 This is the strongest and longest-lasting stainless steel scrubber available. Will not rust or splinter. 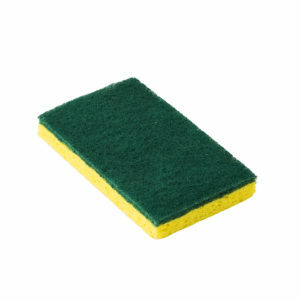 This yellow cellulose sponge is backed with a medium duty green pad for general cleaning. Works well on ovens, walls, counter-tops, sinks, bathrooms, and anywhere else medium duty cleaning is required. Anti-microbial treated and individually wrapped for convenience. To learn more about the rest of the Performance Plus line, check out their literature page by clicking here!